HERE ARE TODAY’S SUPER STARS! 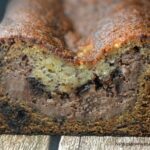 CHOCOLATE CARAMEL CREAM CHEESE BANANA BREAD! MMMMMM!!!! 12 TABLESPOONS BUTTER AND 4 OUNCES SOFT CREAM CHEESE. POUR INTO A WELL GREASED 9X5 LOAF PAN AND BAKE 60-70 MINS AT 350. I COVERED MINE WITH FOIL THE LAST 10 MINS TO PREVENT OVERBROWNING. COOL ON A RACK AND REMOVE FROM PAN. 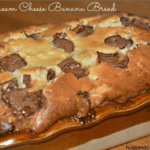 ROLO CREAM CHEESE BANANA BREAD!!! omg, that sounds so good! 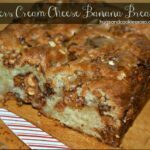 I get so sick of making regular banana bread, this is such a delicious sounding change to the usual! NICE! 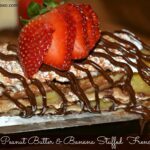 We are big banana bread fans and I like to try new versions, I’m betting my crew will like this too. Thanks so much for sharing at Scrumptious Sunday! THANKS EVERYONE-THIS WAS A KILLER BREAD-HOPE YOU’LL TRY IT! Uh, oh…mini Rolos???? Buzzed you!! !